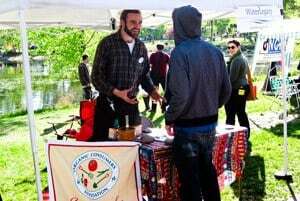 Hosting an information table at the MayDay Festival or joining in on the MayDay Parade is an excellent way for an organization to raise public awareness about various issues, interests, and causes. The sign up fee range is $100-500. Please click on the link below for details. Each space is approximately 10 X 10 feet. Bring your own tent, tables and chairs, as well as banners and fun booth decorations. Booth area must be kept clean. EVERYTHING (including trash) must be removed at the end of the festival. This is a GREEN event. We encourage you to keep giveaways to a minimum to decrease waste around the park. Register using our online registration portal! Registration is due April 19, 2019.